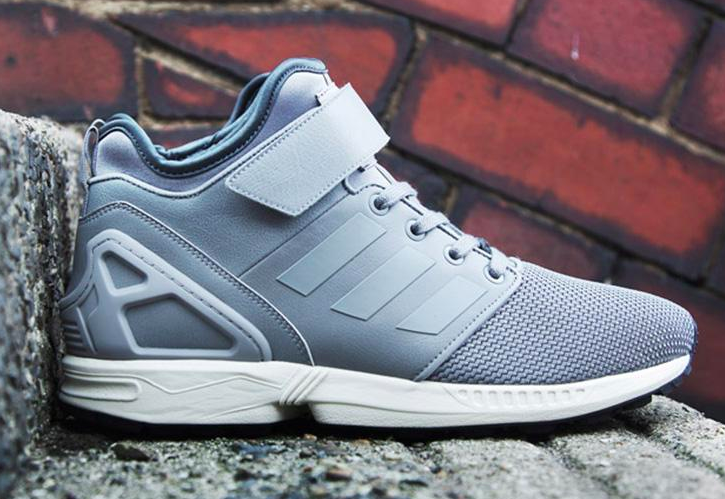 Adidas Originals NPS ZX FLUX Mid "Grey"
It was only a matter of time until the Adidas ZX Flux saw a brand new rendition and sure enough, the folks over at the three stripes have unveiled the Adidas Originals NPS ZX FLUX Mid in “Grey”. The Adidas Originals NPS ZX FLUX Mid “Grey” features layered paneling, cushioning and a neoprene sock liner for a snug boot-like fit. For those that want a higher cut on their beloved ZX Flux’s, these babies are it. Stay tuned for more news on these or check out Adidas.com to see if they’ve arrived.